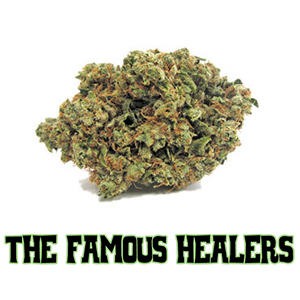 Many patients swear that this is one of the best dispensaries in LA! Expect to being treated with respect and friendliness. Ask as many question as you wish, the customer service here is impeccable! They are very up to date with their herb collection and there’s always something new in the shop to try out. You will be happy with their high quality products and endless variety of strains, as well as with charmingly positive and helpful staff. First time patients get any top shelf gram for $10 and any top shelf 1/8th for $30 plus a goodie bag! You’ll also get $10 off any concentrates and 15% off all edibles. Veterans and seniors (over 65) are not forgotten and they receive 10% off entire donation.